Beijing Ironman Technology Co., Ltd. is a ZGC High-Tech enterprise, with the honor of the "Artificial Intelligence Leader Enterprise Award", issued by China Center for Information Industry Development. The company focused on the development of bipedal full-size humanoid robot, robot "Motion Brain", and robot core components. It is is the first Chinese technological company specialized in bipedal full-size humanoid robot research and application. 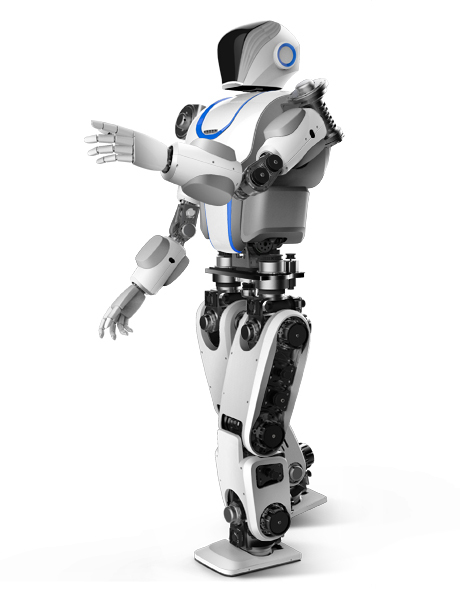 The full-size humanoid robot developed by Ironman Technology can be used to scientific research, teaching, exhibition and industry application.Ironman Technology is dedicated to the development of the most advanced robots and becoming an irreplaceable company in the field of robot motion control. Professor Deyi Li, the director of Chinese Association for Artificial Intelligence, and the fellow of Chinese Academy of Engineering, also establishes a workstation at Ironman Technology.